Copyright © 2015 Angela Ong.
" 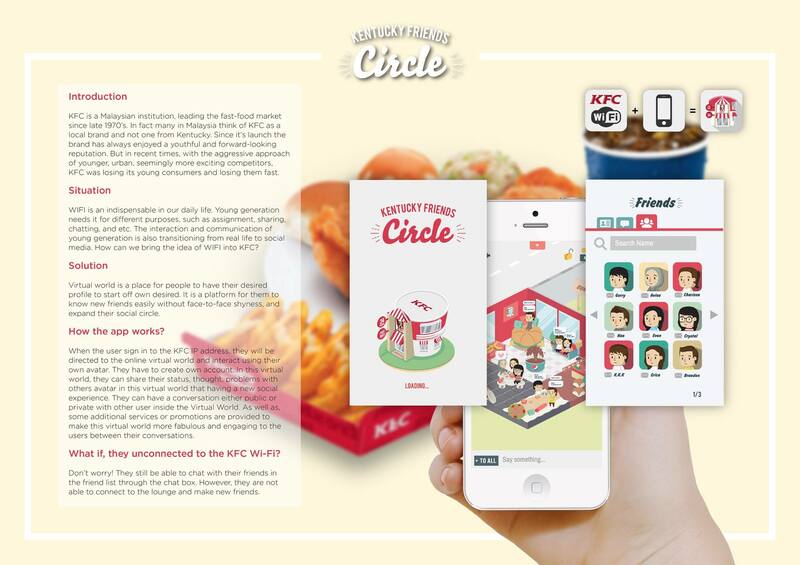 Kentucky Friends Circle "
KFC is a Malaysian institution, leading the fast-food market since late 1970’s. In fact many in Malaysia think of KFC as a local brand and not one from Kentucky. Since it’s launch the brand has always enjoyed a youthful and forward-looking reputation. But in recent times, with the aggressive approach of younger, urban, seemingly more exciting competitors, KFC was losing its young consumers and losing them fast. Our solution is to keep friends connected using the KFC WIFI. 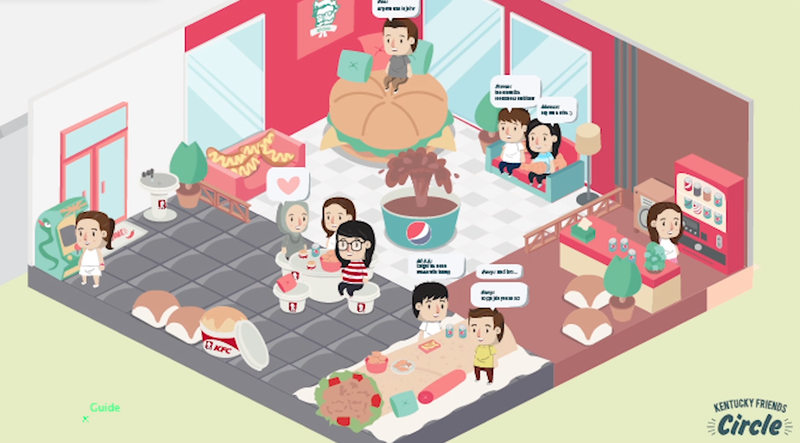 We are to design a KFC community by using Virtual world is an experience for youngsters to have their desired profile to start off. 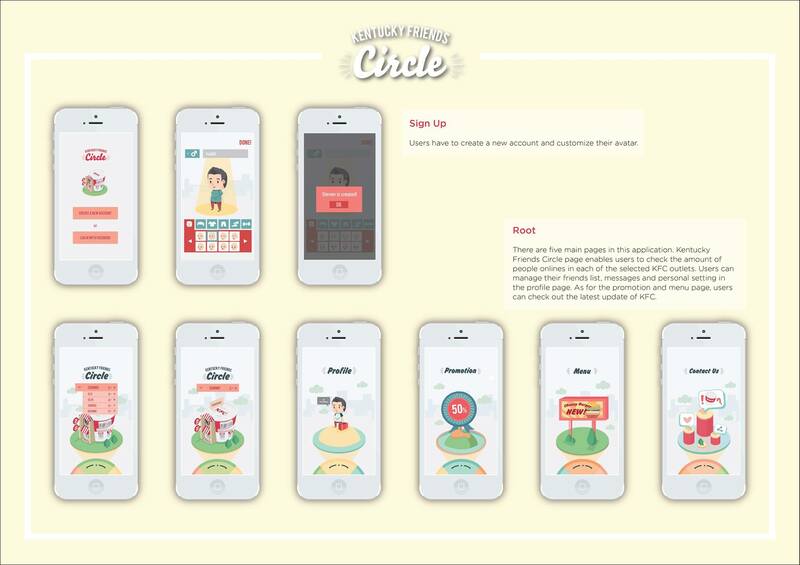 It is a platform for them to know new friends easily without face-to-face shyness, and expand their social circle. 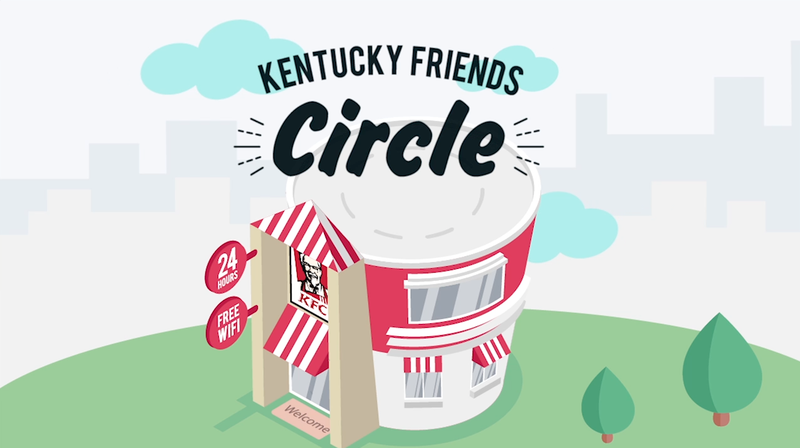 After user connected the kfc wifi, they will directed to the official KFC page. 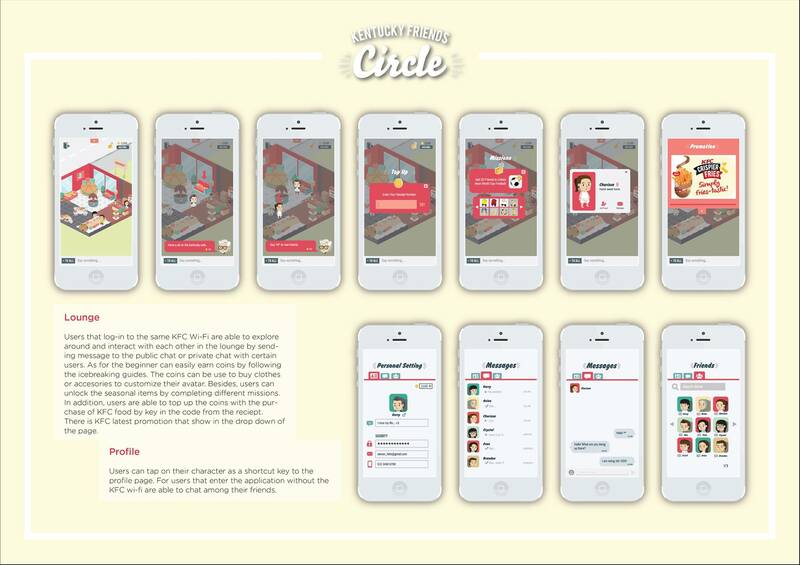 There will be a button for the user to enter into the KFC virtual world apps. 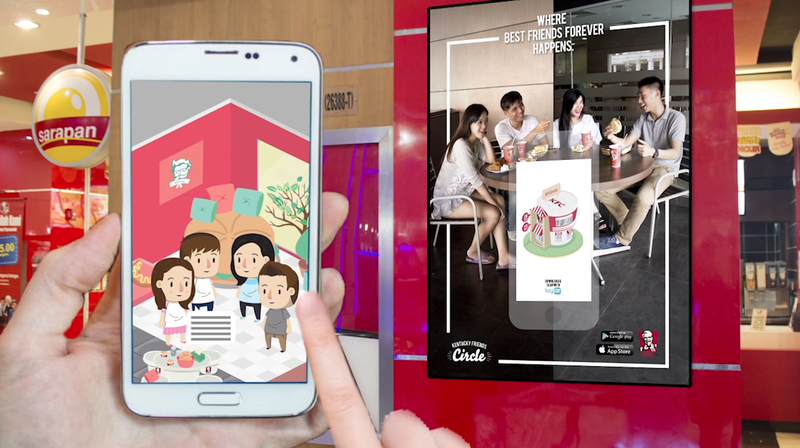 In the virtual world, the user can order food from the virtual counter, have fun mingling around the virtual world, meeting new friends, chat with everyone and you can have a private convo too. There are also achievements for you to unlock such as having tons of trendy clothes and accessorries once you have unlock your achievements and have fun with creating amazingly dazzling avatars.